Today’s theme is juicy, crunchy, yummy apples! Have you ever been apple picking? Raise your hand! Let’s pretend that we are going to pick some apples. Reach up as high as you can, and pick a red and juicy apple off of a tree. Now take a bite. Mmm let’s take another bite. Crunch, crunch, crunch . . .don’t for get to swallow . . .Gulp! When you are finished eating an apple, you are left with the core. The core is the tough center of the apple where the seeds are. After we pretended to pick and eat apples, we read this story about going apple picking. 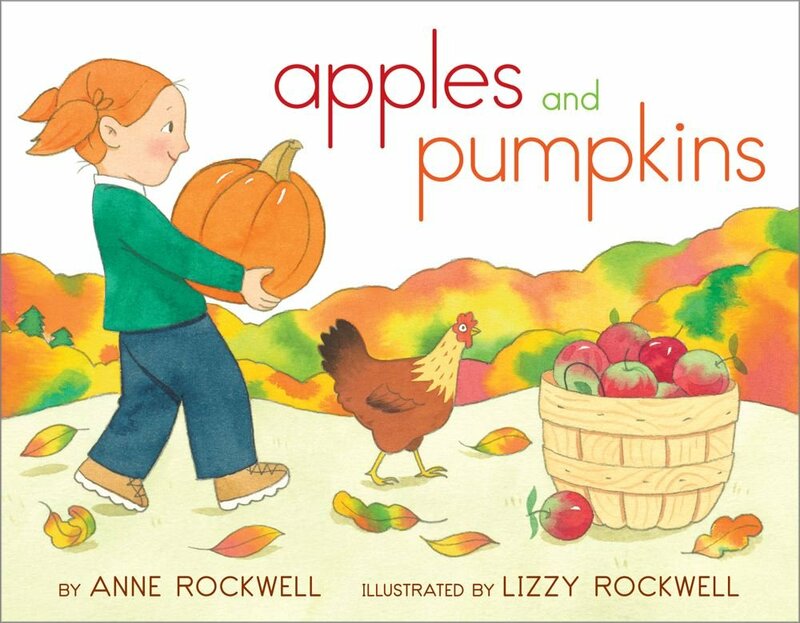 Apples and Pumpkins is a wonderful seasonal book about a little girl who visits a nearby farm to pick apples and then pumpkins, which she later carves for Halloween. This is a nice, quick rhyme to get the wiggles out. Repeat it a couple of times! A humorous, simple story that little ones will love. 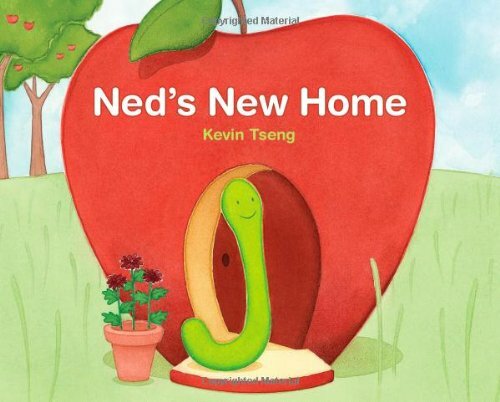 This story is about a worm named Ned who lives a red apple. When his home begins to rot, he has to search for a new place to live…but other fruit just doesn’t feel quite right. Will Ned find his perfect house? Leaving 4 green apples, a-hangin’ on the tree. Leaving no green apples, a-hangin’ on the tree. Pattern for these green apples can be found on susandaily.com. I printed these apples onto cardstock and then we matched them as a group. I held up two (different) apples and asked if they matched. If the kids said “no,” I asked why they didn’t match. Then I held up another apple and continued the process until we found a match. Once we decided that two apples matched, I placed them on the flannel board next to each other. 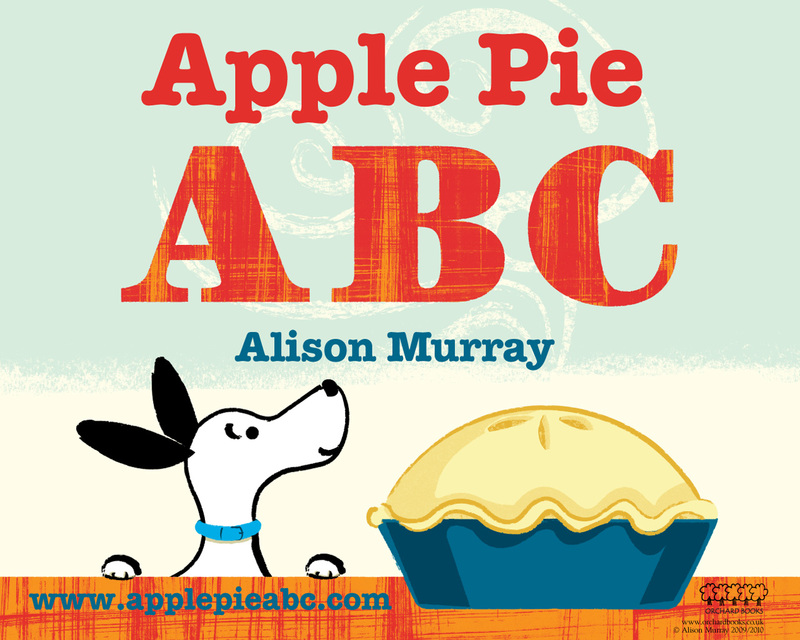 The kids had great fun with this one and giggled at the wormy apples. 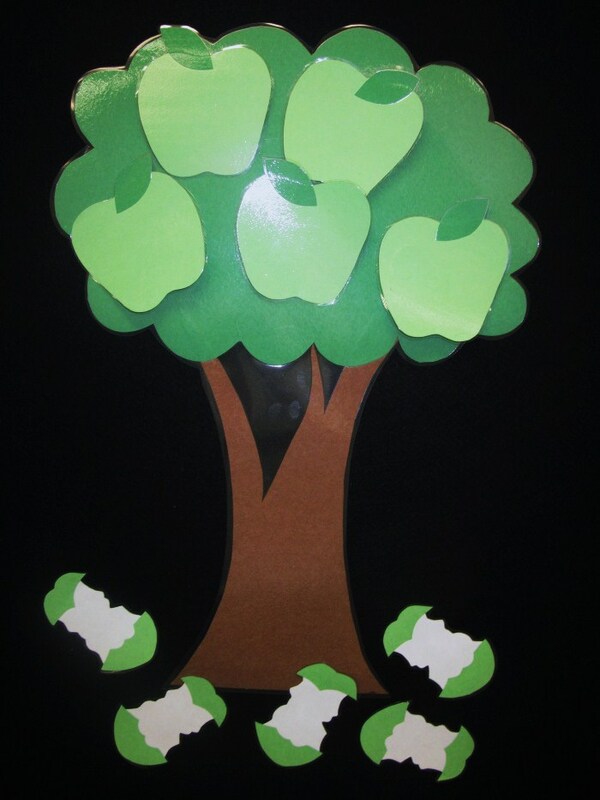 I cut a bunch of apples out of red, green, and yellow construction paper and scattered them around the room. I placed three baskets – labeled red, green, and yellow – at the front of the room. The kids went “apple picking” and sorted the apples into the baskets according to color. 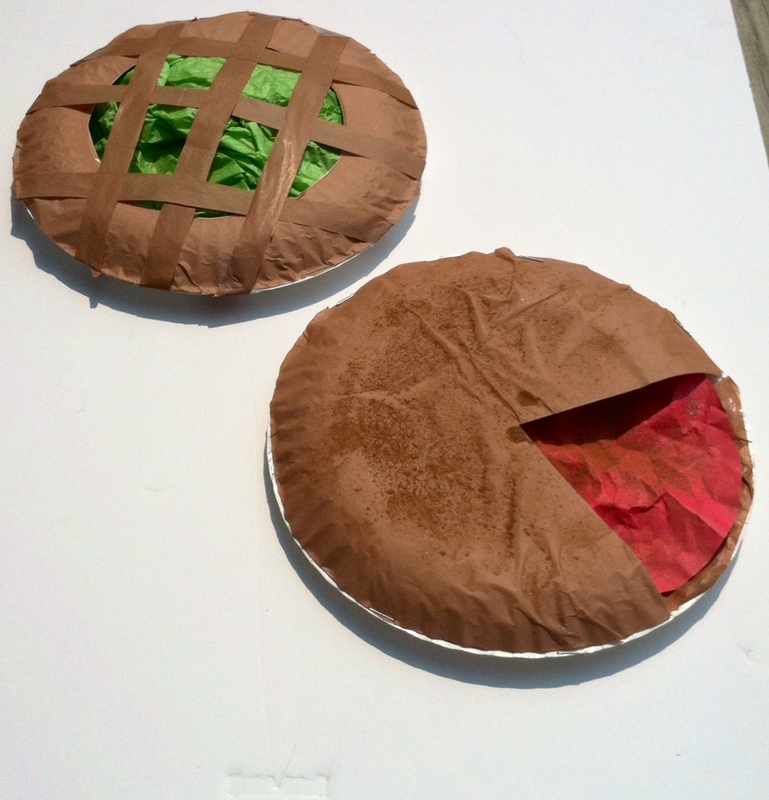 How cute are these paper pies? As an added sensory aspect, they even smell like apple pie! Depending on the age of the children, this craft will require some adult help. This can be encouraged by have an adult and child “bake” a pie together! Inspiration for this craft came from Off The Shelf’s Painted and Stamped Apple Pie Craft and Homemade Speech’s Easy Apple Pie Craft Tutorial. “Roll out” your bottom crust. Fill it with apples of your choosing. Scrunch up a piece of red, green, or yellow tissue paper and glue it to center of plate. I used a glue stick to cover mine with brown tissue paper and then trimmed around the edge. Depending on the children’s ages, you could have them pre-covered or they might just need extra help with this step. Decide if you want a lattice top pie or a solid crust pie. For a lattice top, cut out of the center of top crust. For a solid crust, cut out a “slice” of pie. Cover the apples with your top crust. Have an adult staple top crust to bottom crust. For lattice top, glue strips of brown paper criss-cross over the top. Spread a little bit of glue over the top crust and then lightly sprinkle with cinnamon. Shake off excess. A very interactive book. 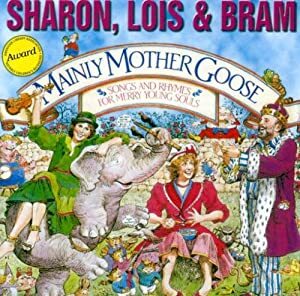 Children love making all of the farm animals noises that go along with the story. This one’s a little bit long, but it’s a wonderful fall book filled with leaves and apple pie making! Amelia Bedelia is humorous as always. I really love this sweet, beautiful book that follows the life cycle of an apple. The artwork is gorgeous; this is one to sit with and savor each page. The humor in this rhyme will go over the children’s heads, but parents will surely get a laugh out of it! The first apple in the basket was bright and shiny red. The fifth apple in the basket said, “Oh dear, oh me, oh my! See instructions and the accompanying flannelboard at Library Village. 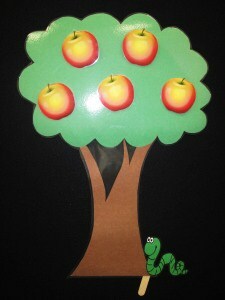 Mr. Slinky Worm loooves to eat crunchy apples. I used a tree and five red apples on the flannel board as we chanted this rhyme. And . . . CRUNCH!